Appealing to children of all ages, the daytime Halloween festival will be the biggest and best to date with exciting haunted house attractions aimed at the 6-13 year age group. These include the brand new Terror Trail and the Twisted Fun House in addition to classic favourites such as The Horrid Hayride and The Creepy Cottage. The Pumpkin Patch area features activities and attractions to keep the whole family spellbound. Make your way round the Spooky Trail and take part in the Spook Hunt and then join Hilda Hotchpotch and Wilfred Wagglewand at The Department of Halloween Headquarters for spooky stories, fearsome fancy dress and stacks of spine tingling silly fun! Enjoy the live puppet shows and meet Pumpkin Patch, our very enthusiastic pumpkin grower. If after all that you still want more, there are various rides that you can enjoy plus corn cannons, pumpkin chuckin and paintball to keep you entertained. 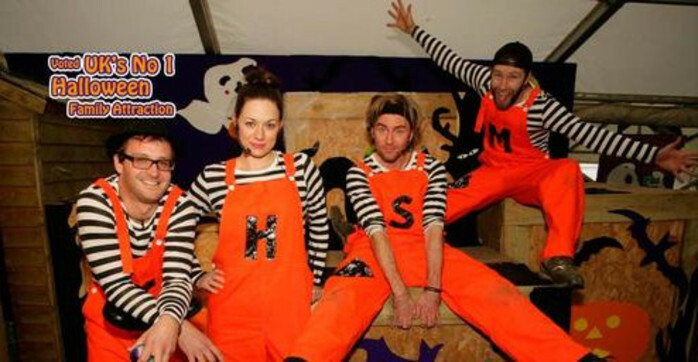 If you fancy a sing-song, there is scary-oke on the main stage as well as street theatre characters, street food and drink and the Halloween Store.